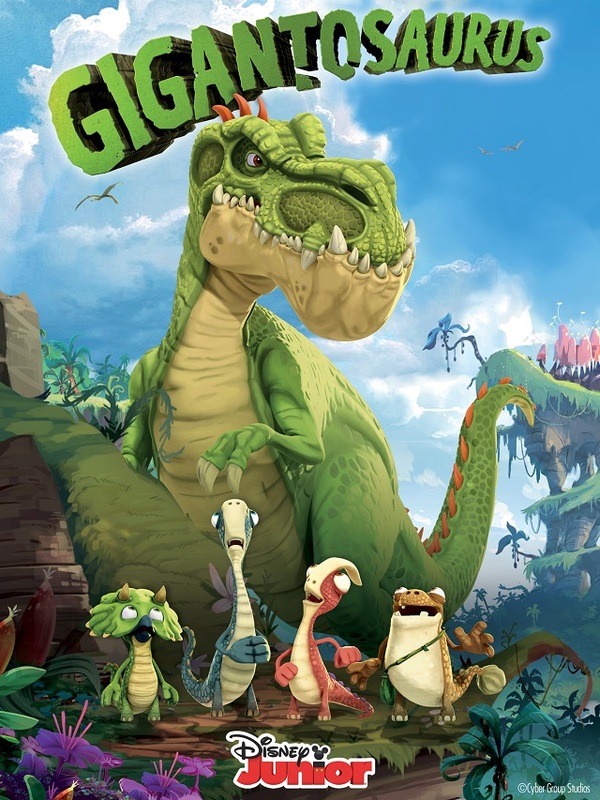 Gigantosaurus makes it's BIG debut on Disney Channel tomorrow [at 9 a.m during the Disney Junior program block!] 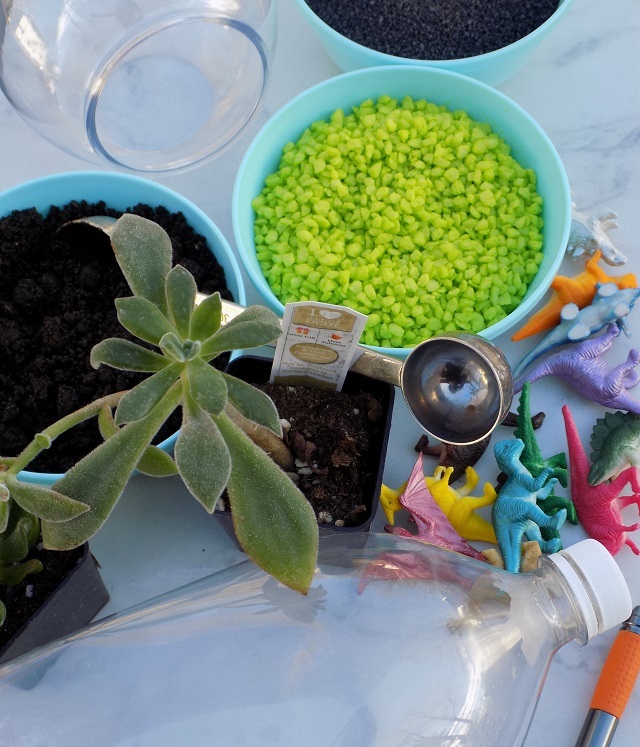 We're celebrating today, with this Upcycled Soda Bottle Dinosaur Terrarium Garden kids craft - inspired by this fun new animated series for preschoolers! We had the chance to check out a full episode of Gigantosaurus last week, and we were all absolutely delighted. This new animated series brings the pages of Jonny Duddle's book [of the same name] to life with beautifully vibrant and captivating animation, and story-lines that are written to inspire. As a mom, I always look for programming that encourages my kids to explore new topics, navigate real-life lessons, and ask questions. Gigantosaurus checks all of those boxes, friends! The gorgeous animation grabbed them, then the questions started rolling in from my 2 year old. The never-ending list of "why'?" I love that! Little kids have such a thirst for knowledge. They always want to know the who, what, where, when, and why?! After we were finished watching Gigantosaurus, there were lots of questions, lots of searching and reading, and tons of learning fun new facts about their new favorite topic; DINOSAURS! Seriously, folks, they are now officially obsessed with all things dinosaur related. Then, the crafting started! First, we made DIY No-Sew Dinosaur Gloves, inspired by Gigantosaurus [click here for the full tutorial.] 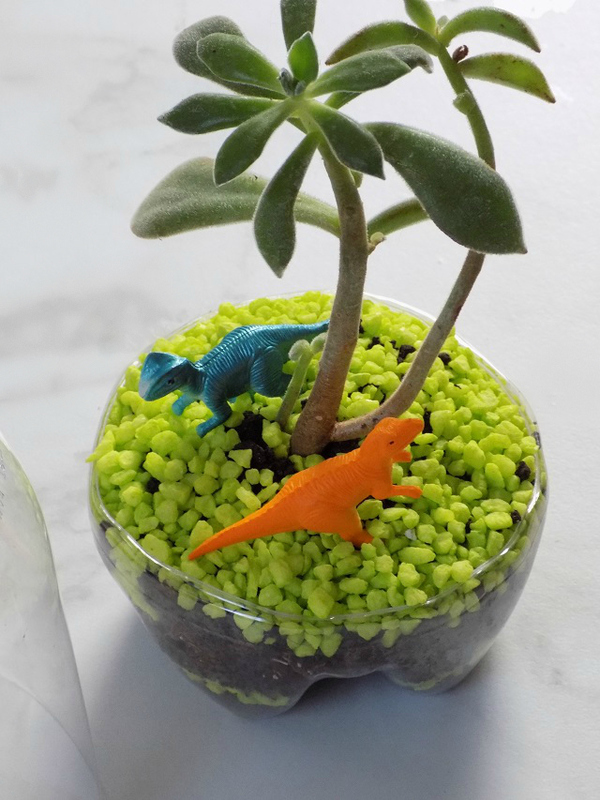 Then we made these fun Upcycled Soda Bottle Dinosaur Terrarium Gardens. 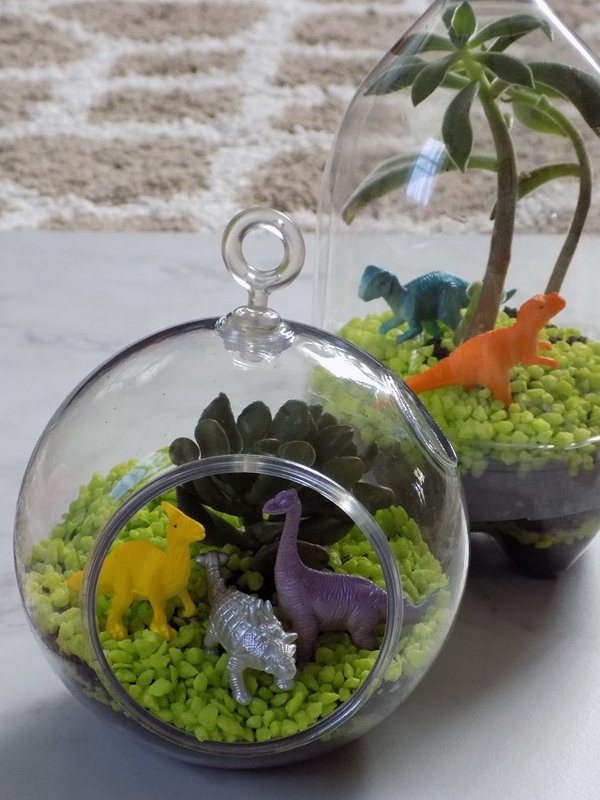 The plant-life was crucial to the survival of many plant-eating dinosaurs during the cretaceous time period and it's so beautifully depicted in Gigantosaurus, so we thought these Dinosaur Terrariums were the perfect way to celebrate our favorite new show! 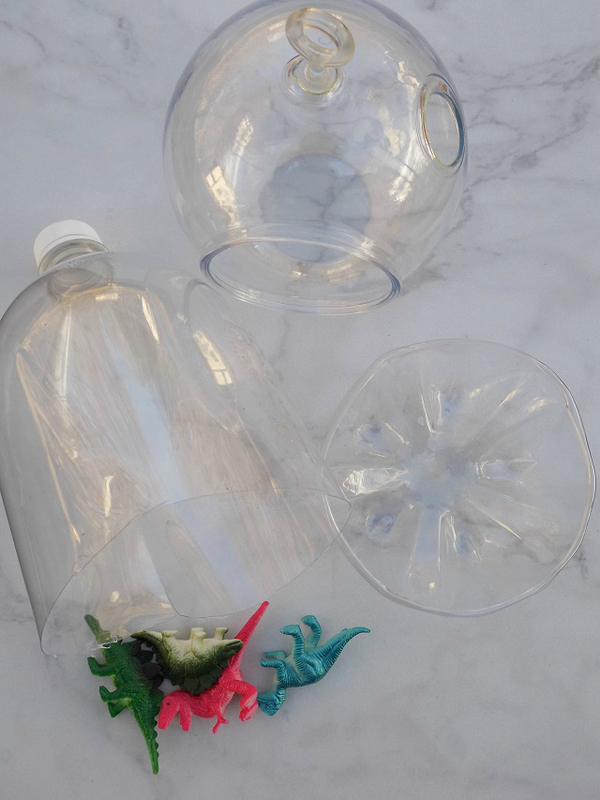 These Dino Terrariums would also make a great make-and-take craft for a Gigantosaurus Dinosaur themed party. 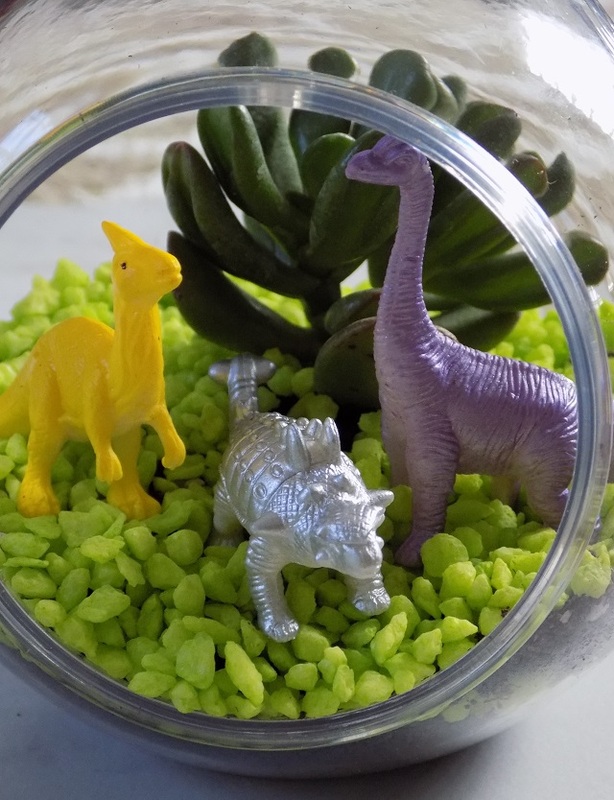 Read on for the full supply list and my easy tutorial, to make your own upcycled soda bottle dinosaur terrarium garden with your little one. Small succulent plants of your choosing. Add a 1" layer of gravel to the bottle of your container. Add a thin layer of gravel. If using an upcycled soda bottle, replace the top portion of the soda bottle by gently placing / sliding it over the base. Place in a sunny spot in your home, water (about every two weeks for most succulents,) and enjoy! Tune-in to the premiere of Gigantosaurus on Disney Channel [during the Disney Junior program block] this Friday, January 18th [at 9 a.m!] Follow the advenutres of #Gigantosaurus on Instagram and Facebook. These are a fun idea. I think all of our kids would enjoy making them, though I am sure some arguments would ensue over whose was better!! These are so cute. My little girl would love making these; she loves everything dinosaur right now. The kiddos would so love these! So fun & creative! This is such a cute idea. Our son has recently REALLY gotten into dinosaurs. He would really like these!